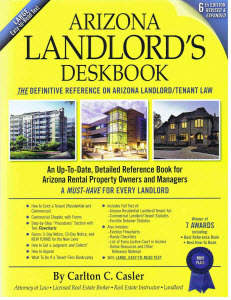 Arizona Landlord Tenant Blog: How should a landlord "document" property damage caused by a tenant? Lease requires tenant to replace light bulbs as necessary. Tenant fails to do so and landlord has to pay to replace burned out bulbs. Can landlord deduct cost of bulbs from tenants security deposit? RESPONSE by Carlton C. Casler. Yes.